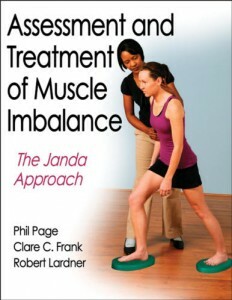 I’ve been challenged a few times by physical therapists to show evidence supporting the Janda Approach, particularly for getting CEU approval for workshops. Before I attempt to answer that question, I would like to point out that I’m a ‘clinical skeptic’ and will be the first to question the evidence of any intervention. I am a big supporter of using evidence to guide clinical decision making, but first I need to explain some important points about modern ‘evidence-based practice’ (EBP), particularly for the newer graduates in our profession. I’ve been preaching this approach in my workshops for years, trying to get people to be more practical in how they use evidence in the clinic. Before I go any further, I’d suggest you first read my new blog on clinical education and research at www.clinicalear.com, More Practical Evidence-Based Practice for Today’s Clinician. Be sure and read both Part I and Part II! Now back to the evidence for the Janda Approach. 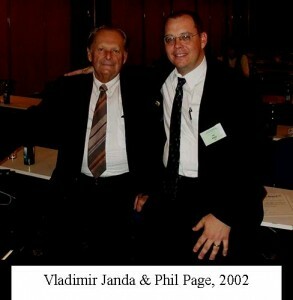 When I started working with Dr. Janda around 2000, I took one of his last 2-day workshops. After being exposed to great presenters like George Davies and Kevin Wilk who were always full of research references, I was intrigued by the lack of ‘references’ from Janda’s course. One participant even asked Dr. Janda, “What’s your reference?” to which Dr. Janda replied, “I am the evidence!” Hard-core evidence-based practitioners would never take this answer of course, but I know what he meant. Dr. Janda published hundreds of articles, including many clinical studies, but they were mostly in Czech (yet another barrier to ‘translating’ the evidence!) Many were descriptive studies based on EMG data and his observations in groups of patients, but he always supported his approach with scientific evidence of others to build his case. Dr. Janda only based everything in his approach on the work of others including Kendall, Sherrington, Freeman & Wyke, Bobath, and other well-respected clinical approaches. I always admired his ability to ‘give credit where credit’s due’, which others often did not do in building themselves using Janda’s approach. This inspired us to develop a scientifically-based workshop for Janda’s approach, where we would apply modern research to Dr. Janda’s teaching to create a more contemporary approach for today’s practicing clinicians. After his death in 2002, we wanted to preserve his teachings by writing the only textbook on his approach. We ended up with over 600 references. So when someone asks “Where’s the evidence?” I point to the 40 pages of references at the end of the textbook. Dr. Janda once told me a story about how ‘evidence’ supports his approach using the story of Mendelev (of Periodic Table fame). Mendelev set up the Periodic Table without knowing all the elements. He knew that the elements had specific characteristics that fit a specific pattern, and could be predicted; however, not all the elements had been discovered, so he left spots on the table for them to be filled in based on his prediction of their properties. Menedlev correctly identified the characteristics of each element that were later discovered. Using this example, Janda described how science supports his approach, even though we are limited in the ability to measure everything we need to! Next: Is the Janda Approach “effective”? Next post: Is the Janda Approach effective?